High Summer is when all the hard work yields results in the vegetable garden. 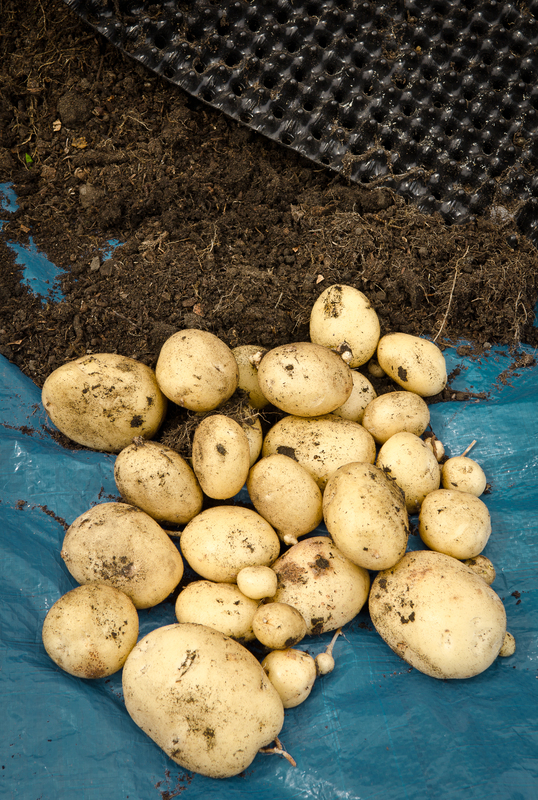 We opened the 50 litre Air-Pot potato towers and were delighted to find over 4 kg of perfect, early potatoes in each tower, including lots of big “bakers”, and very few tiddlers. 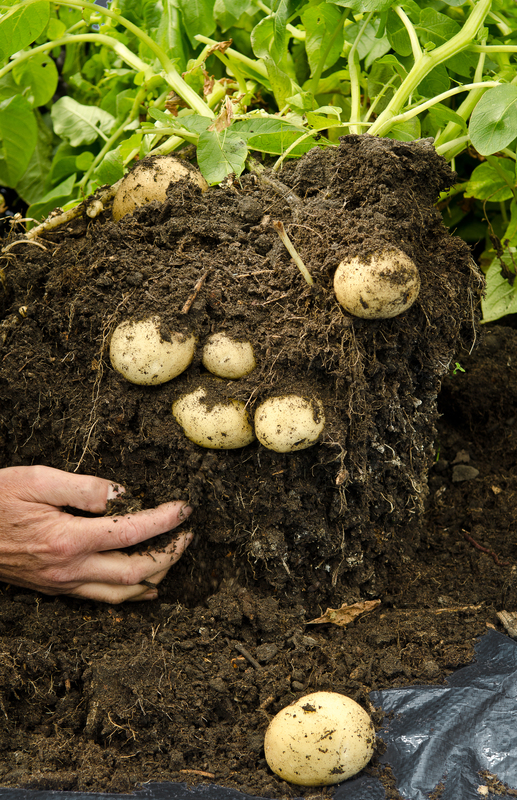 The same variety in the ground was later, did not yield as heavily per plant, and the tubers were smaller. So the Air-Pot towers are well worth a try, particularly if you are short of space, or just want a few extra earlies. I did notice the compost in the middle of the tower was quite dry despite generous watering, so I will sink a short watering tube to direct some water straight to where the tubers are swelling. I will also try 4 tubers per tower rather than 3, vary their depth a bit, and experiment with feeding. Maybe bigger / better / earlier is possible? I immediately re-planted a tower with some chitted main crop potatoes, this may need some protection from frost at the end of the year, but could produce welcome new potatoes in winter. Earlies and lates from a pot standing in an unused corner seems a good return and while some strive to reduce food-miles, the distance from Air-Pot to table was all of 3 meters!